You must remember that during your executive job search, when people are meeting you for the first time, they are at a disadvantage. They haven’t had the pleasure of knowing you, your skills, your work habits, your strengths, and your history. When you meet with a potential employer you are, in effect, painting a picture with your marketing collateral—and it’s up to you how that picture looks to someone else. You want, of course, to quickly establish yourself as an executive leader. References, endorsements, and testimonials most always have a greater impact than any other piece of information we can give a potential employer because it comes from a third party perspective, which legitimizes you and authenticates what you are probably communicating with them yourself. It builds trust very rapidly—more rapidly than any other way that I know. Suffice it to say—having a page of testimonials you can use as a “leave behind” or attach with a post-interview thank-you letter is one of THE WISEST moves you can make in your job search. If you are a professional, I strongly recommend having a LinkedIn profile. You should invite to your list of connections (everyone connected to your career history with the exception of your current employer that is—if you want to keep your job search a secret). Once you have invited your past bosses, vendors, clients, and associates to connect through LinkedIn, then begin to write them unsolicited endorsements. Your contacts will appreciate this and LinkedIn will automatically ask them if they wish to reciprocate—which many of them will. This is the quickest way to garner endorsements using LinkedIn. 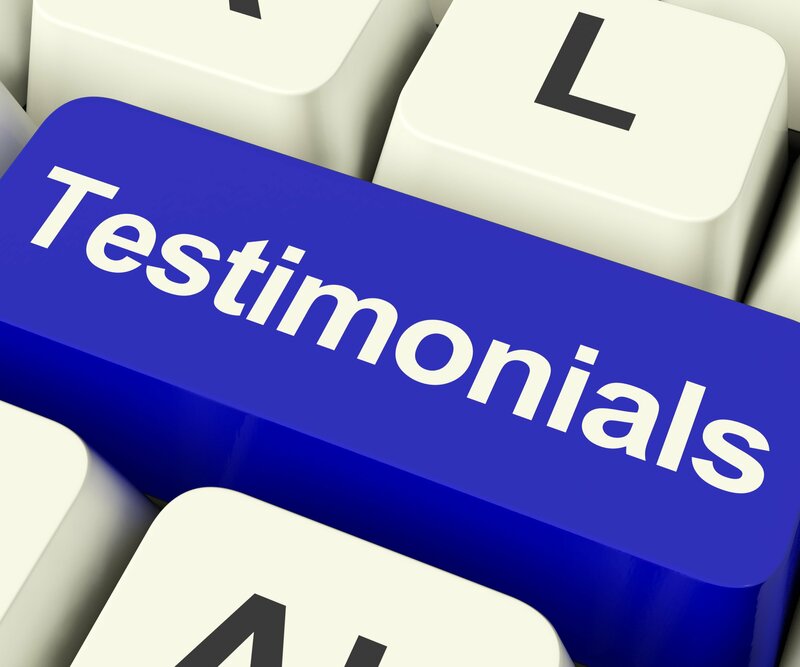 From here on out, consider “collecting” references and testimonials well before you think you might need them, or to set a goal of obtaining two or three testimonials or references each year no matter what. You can accomplish this by simply telling your potential references that you are gathering testimonials as you go . . . as part of your long-term strategic career goals. Why not ask for powerful, short performance statements in lieu of the more typical “letter of reference”? I put together a one to two page document for my clients filled with short statements from all sorts of credible references speaking from their unique vantage points. The result is a reference page that reads like a list of 5-star book reviews! You simply ask your references for a short quote and share that you are looking for short, substantive information—how you solved a problem, helped a company grow, saved $ or increased productivity or profits. My abilities as a leader—taking a company global. My capabilities on the new technology integration task force. My abilities to analyze current operations and pioneer long-term growth plans. Using these easy and powerful tips you will soon have an abundance of highly targeted and compelling references that will have potential employers taking notice!